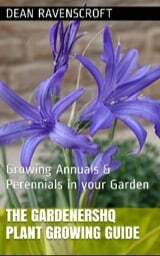 Members of the Jasione plant genus can be hardy annuals, biennials, or perennials. They reach heights of 20 to 30 cm and flower with blue or white pom-pom flowers in the summer. 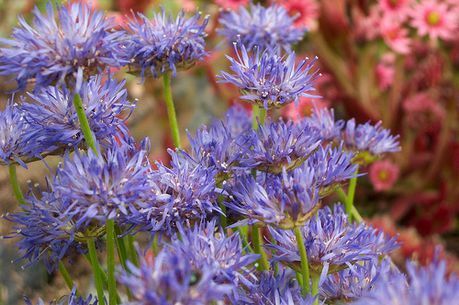 Their small size makes them ideal for use at the front of borders or in rock gardens. 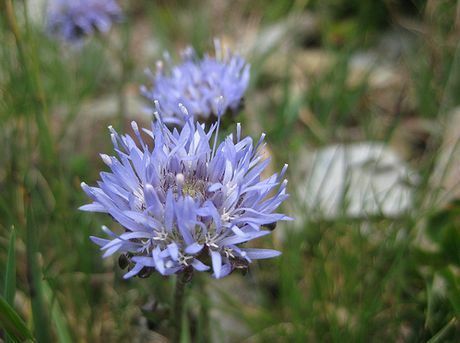 Some of the names for Jasione include Sheep's Scabious, and Sheep's bit. Jasione laevis – Shepherd's Scabious by Magnolia1000; creative commons. Common Names: Sheep's Scabious, Sheep's Bit. Life Cycle: Hardy annual. Hardy biennial. Hardy perennial. Height: 10 to 14 inches (25 to 35 cm). Growing Region: Zones 5 to 9. Flower Details: White, blue. Pompoms. Sow Outside: Cover seed. Before last frost or in autumn. Spacing 9 to 12 inches (22 to 30 cm). Sow Inside: Use peat pots. Germination time: ten days to one month. Temperature 70°F (21°C). Eight to ten weeks in advance. Transplant outdoors just before the last frost or in autumn. Requirements: Full sunlight or light shade. Good drainage. Soil pH 6 to 7. Supply spring mulch. Occasional light feed. Propagate: dividing in spring. Sheep's Scabious plants can be grown outdoors by sowing seeds (lightly cover) before the last frost of spring. Jasione plants should be grown in an area of the garden that is either sunny or partially shaded, and has good drainage, and an acidic soil. If starting Sheep's Scabious (and other Jasione species) indoors then they should be started about two months before they are due to be transplanted in either early spring or early autumn. They will take from two to four weeks to germinate at 21 degrees Celsius. Once growing transplant the Sheep's Scabious into the garden at about 30 cm apart. It is quite easy to look after Jasione in the garden; they require a mulch in the spring, regular watering to keep the soil moist; and the flowering stems removed once flowering has been completed in the autumn. If you require more Jasione then divide Sheep's scabious in the spring.